Minor league baseball&#39;s Toledo Mud Hens—the favored team of cross-dressing jeep-eater Cpl. Minor league baseball's Toledo Mud Hens—the favored team of cross-dressing jeep-eater Cpl. 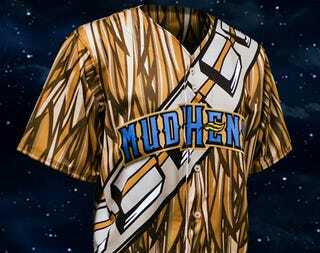 Maxwell Klinger—will take the field on May 4 (of course) in these Chewbacca-inspired jerseys, part of a "Star Wars Weekend" promotion. They'll be auctioned off at the games.